EIF2AK2 antibody recognizes interferon-induced, double-stranded RNA-activated protein kinase, also known as P1/eIF-2A protein kinase, eIF-2A protein kinase 2, interferon-inducible elF2alpha kinase, p68 kinase, or protein phosphatase 1. Mouse anti Human EIF2AK2 antibody recognizes the interferon-induced, double-stranded RNA-activated protein kinase, also known as P1/eIF-2A protein kinase, eIF-2A protein kinase 2, interferon-induced, interferon-inducible elF2alpha kinase, p68 kinase, protein kinase, interferon-inducible double stranded RNA dependent, protein phosphatase 1, regulatory subunit 83 and tyrosine-protein kinase EIF2AK2. Encoded by the EIF2AK2 gene, interferon-induced, double-stranded RNA-activated protein kinase is a serine/threonine protein kinase that is activated by autophosphorylation after binding to dsRNA. The activated form of the encoded protein can phosphorylate translation initiation factor EIF2S1, which in turn inhibits protein synthesis. This protein is also activated by manganese ions and heparin. Three transcript variants encoding two different isoforms have been found for EIF2AK2 (provided by RefSeq, Oct 2011). 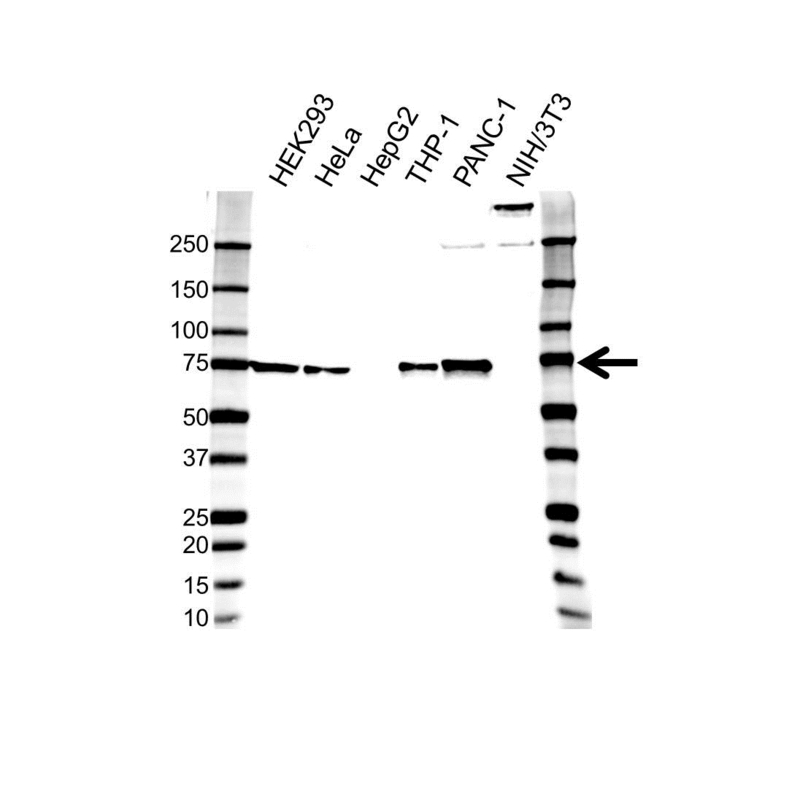 Mouse anti Human EIF2AK2 antibody detects a band of 74 kDa. The antibody has been extensively validated for western blotting using whole cell lysates.